SizzleRadio was created from the small world of my bedroom back at the end of the year of 2007. I had just left a small, flighty, Internet radio station after they were closing their doors for good. Had very little DJ experience and even less experience on how to build a website, much less what html meant. For the next few months I had help from a friend and we built a radio site that was ready for public viewing on March 1st. 2008. DJ Tim was my go to guy for many radio and technical questions and answers. SizzleRadio is a Multi-Genre radio station ranging from Sunday Folk shows to Saturday Night Dance and 80's. We pride ourselves on being multi-Genre and letting the listener have fun with their requests. 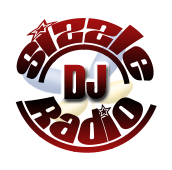 SizzleRadio offers a platform to their DJ's with very few limitations. We like that the DJ has control of their own show and to make it their very own. Interaction with a DJ through chat rooms has always been a fun addition to our station. We have always welcomed people to chat, dance, request and join in on the fun. We have been listed with iTunes radio since the end of 2008 under Eclectic. We love that it has always been easy to listen to our station with Apple products and their operating system with iTunes. We pride ourselves on our uptime with our Streaming Company and our Legal radio station. Meaning we pay royalties to ASCAP, BMI, SESAC and Sound Exchange. We are completely DMCA compliant and pay our fees through auto deduction on a Monthly basis. Here at SizzleRadio we don't go on the air to entertain because it's on a schedule. We go on because it's a passion of ours. To tune from a chatroom you can use the "Tune In" button from the menu as shown below. Our Schedule is always being updated with the most current information regarding specials and dj availability.